Hi Angel! 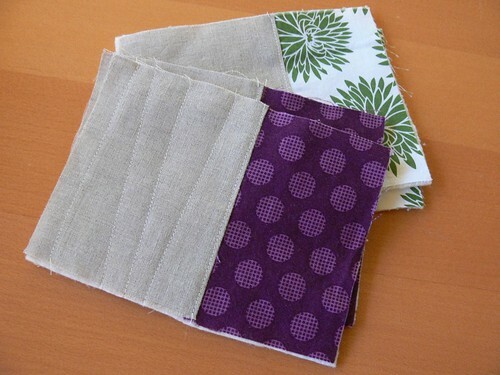 Do you remember that awesome screen printed flower fabric you sent me a while back? 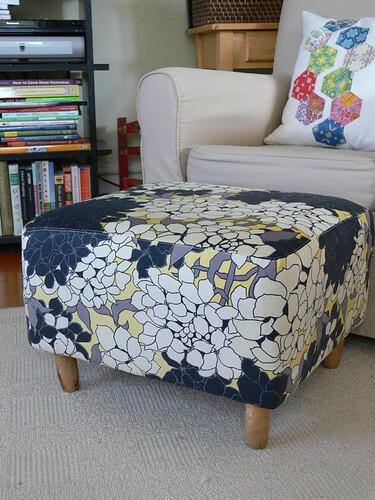 I decided some time last year that I should re-upholster our little ottoman with it, and I finally got a wild hair to do it this weekend!! This was my first upholstery project and I'm SO happy with how it turned out! 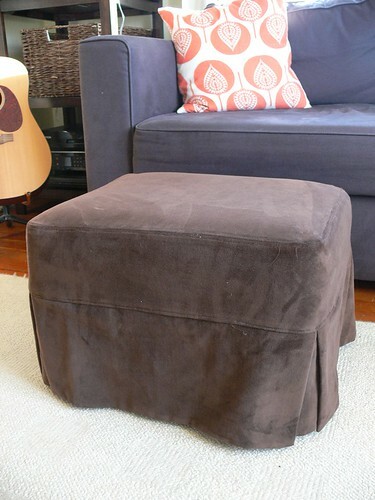 This ottoman is one of the first pieces of furniture I ever got after moving out of my parents' house. My mom was working in upholstery and antiques at the time and found the frame for it in a shed crammed with old broken furniture. 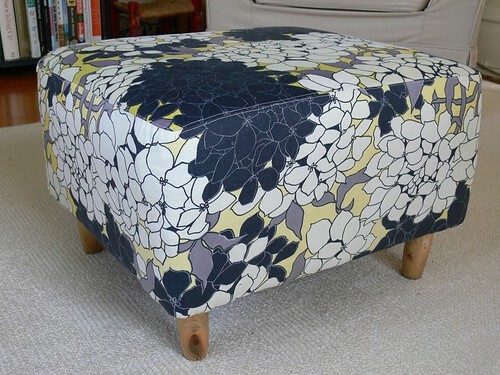 She fixed it up and upholstered it with pretty purple fabric. After a few moves, and living with a cat and a toddler, the fabric was dirty and torn, so my mom made a brown velvet slipcover for it. That worked for a while until we got our blue-grey couch last year, and since then the ottoman has needed a makeover 'cause the brown and blue-grey just do not work together! I thought I would show you a few photos of my process. It was really easy!! I started by removing the slipcover and taking measurements. For the top, I simply laid fabric right side down and drew the outline with a fabric marker. You are loyal, kind, thoughtful and creative. You teach me how to be a better friend every day! You see the good in everyone, and make me want to do the same. I can't wait for us to all be together again, so we can make more memories together! Happy, happy birthday Jenny. We all love you! It's a yucky rainy day here in Seattle, and I have a sick toddler with a fever and a cough, so I foresee a lot of quiet, indoor time this weekend... which, aside from lots of cuddles, means sewing and crafting time! - Prep for a project and book review -- stay tuned, it's coming next week along with a giveaway! Hello friend! Time keeps slipping by in fast-forward, it seems. I've been meaning to post a little update for days and just can't find a moment. Right this minute, I have one kid down for nap, one kid "reading" to himself in the living room, loads of laundry churning and a cup of reheated coffee in front of me. Time to steal a few minutes and show you what I've been up to! 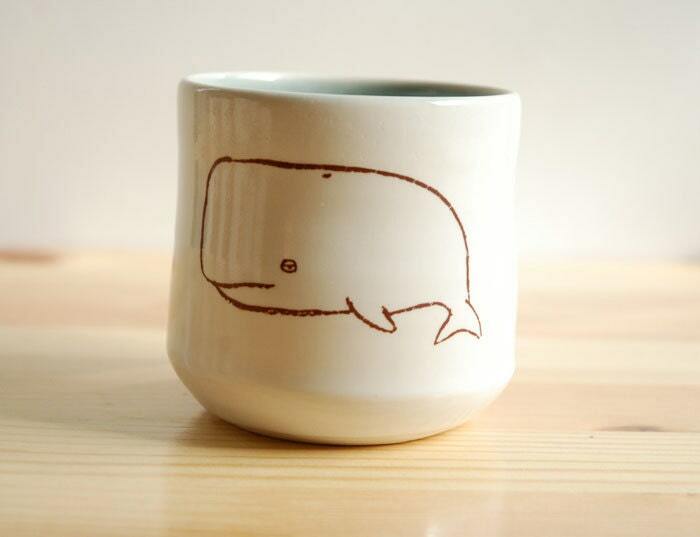 Mostly, I've been busy working on stuff for my shop on Etsy and finishing a custom order. 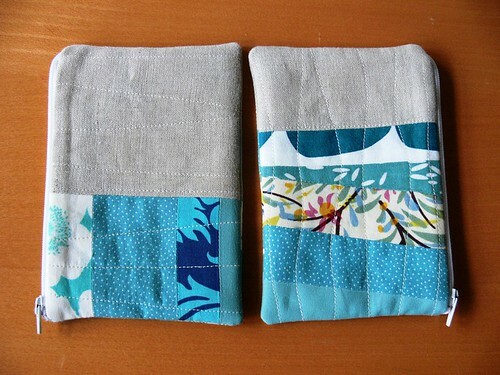 The items for my shop are patchwork pouches (I showed you the WIPs a couple of weeks ago). I'm pretty happy with how they turned out! 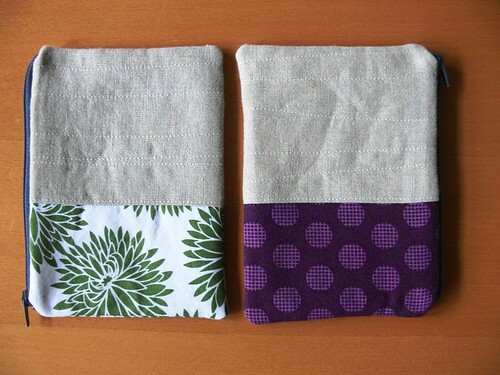 I especially love the green and purple ones with the contrasting linings and charcoal zippers, I think I'll make more. Hi Angel! I hope you're well. How is the remodeling progressing on the house? You must be so antsy to move back and settle in (and set up your new studio space, ha!). I can't wait to see the things you made for the craft show where you had a booth last weekend, hint hint! In the meantime, I wanted to show you a spur-of-the-moment project I've been working on. I need some input and ideas! Grey is my favorite color lately. Blame it on Seattle... as well as the amazing fabrics currently available everywhere featuring that muted and versatile color. I've been on a mission to finish a well-overdue gift for a friend (more on that soon!!) 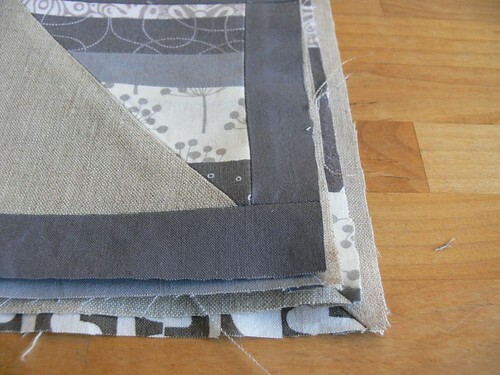 and I wanted it to feature a combination of greys and linen. Happy Monday! I did NO crafting or sewing this weekend, not for lack of several piles of WIPs needing attention. I'm in withdrawal and can't wait to get stitching during naptime today. Instead, we visited family -- which was lovely -- and rearranged the living room and dining room furniture -- which was stressful. I need a weekend to recover from the weekend. I hope yours was wonderful! First, we selected all the pink and red fabric scraps from my scrap bin, and we also got out the red and pink felt (a rayon/wool blend, but I think any kind of felt would work here). I am not usually one to be inspired by Valentine's Day. I tend to find this holiday commercial and kind of cheesy -- or maybe I still hold some resentment from my lonely single days! In any case, this year has been different and I've embraced the kitshy red-hearts-for-everyone lovey-dovey aspects of V-day. 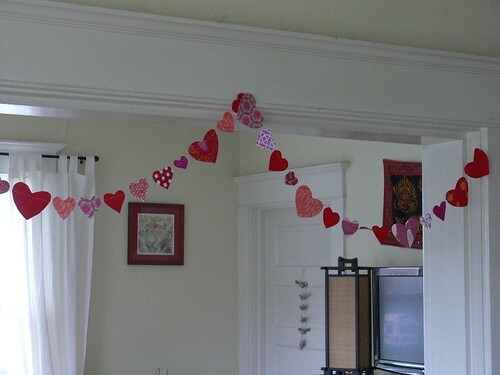 Ben and I made some Valentine's decorations and I created some artwork for my shop. 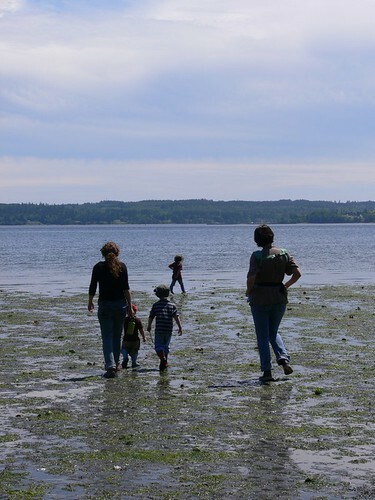 I thought I would share some photos with you! 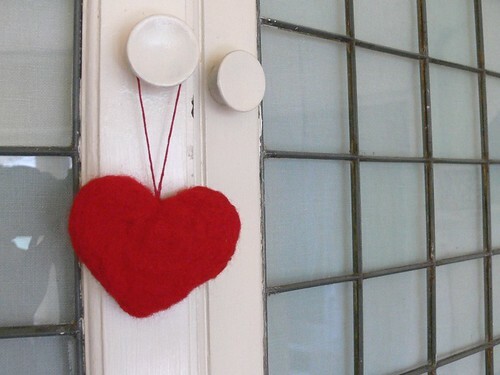 Last week we had a crafty playdate with friends and made needle-felted heart ornaments. Angel, we used your tutorial but since the kids were involved, we skipped the embroidery. This was such a fun project! And with a lot of supervision and reminders about the sharp needles, the kids (aged 4.5-7) did great! Dear readers, Stumbles & Stitches reached a lofty goal this past weekend: we surpassed 1000 fans on our Facebook page. What a perfect excuse to have a giveaway! Seems like it's been a while since we've thanked all of you for your support, inspiration, collaboration and friendship. 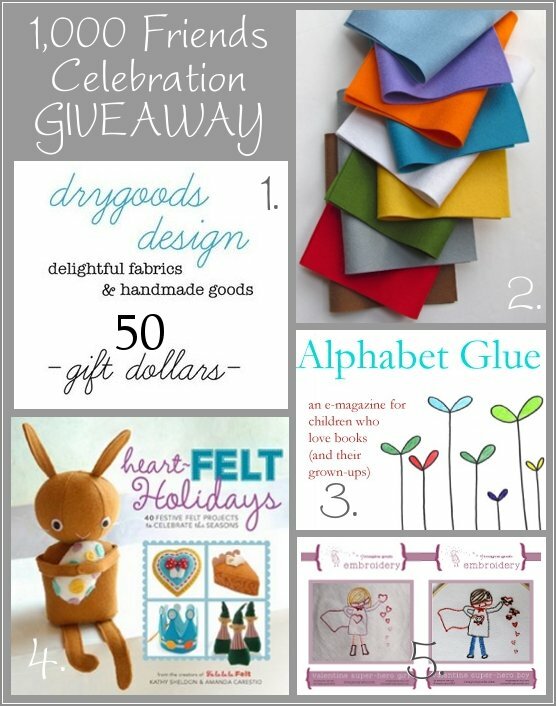 Jenny and I have cooked up a nice little giveaway thanks to wonderful friends and sponsors. One lucky winner will receive 5 awesome prizes. Welcome to February (a few days late...)! We are excited to have three lovely sponsors on board this month. 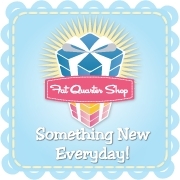 We hope you will check out and support these small businesses. Not only do they offer fabulous fabrics and more, they also allow us to keep blogging here for your reading pleasure! Without further ado, here are our February sponsors and their latest deals. 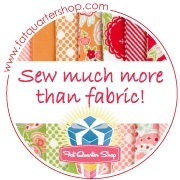 Fat Quarter Shop is the place to shop for all your quilting fabrics and pre-cut needs. Their selection is just incredible. 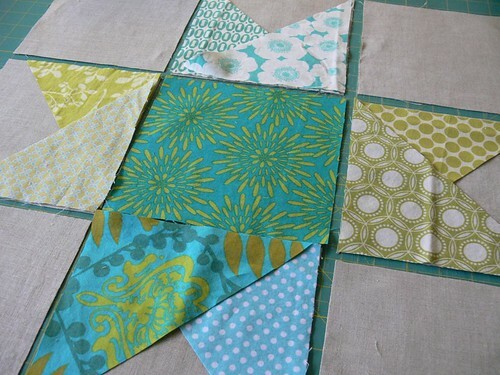 For something fun and different, check out their Block of the Month program! 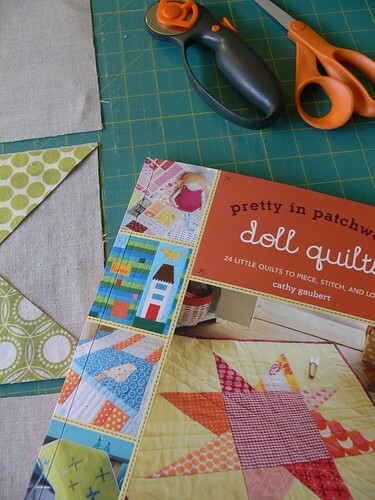 Their 2012 Designer Mystery Block of the Month sounds so fun: you receive the pattern and fabric to make 12 different sampler blocks, resulting in a spectacular vintage sampler quilt filled with traditional blocks. The Among The Stars BOM sounds right on trend too. 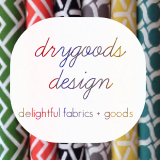 Drygoods Design Online is about to move to a larger space in Seattle (where I and other locals will be able to visit and browse, rather than just order online! Can't wait!) 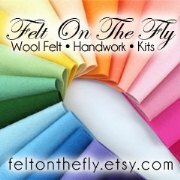 Owner Keli is offering some super deals: 30% off fabric orders of $100+ (includes sale and regular price) through February, and until Wed 2/8 midnight, folks can save an additional 25% off of sale fabrics, while supplies last. Woot! New in stock are top picks from Good Fortune by Kate Spain, all of Echo by Lotta Jansdotter, new Timeless Treasures, and the cutest flannel chevron prints from Northcott. 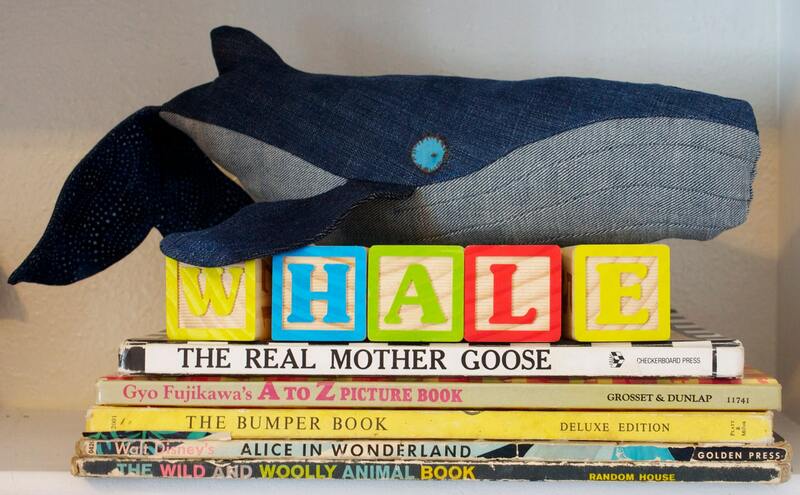 Washi by Rashida Coleman Hale and Curious Nature by Parson Gray will arrive soon, among many others! 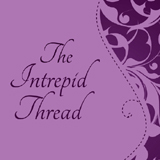 At The Intrepid Thread, Pezzy Prints are on the way, and owner Julie just marked down over 200 items to 30% off in the sale section, including Power Pop, Pear Tree, Primitiva, Sugar Hill, Happiness and Petal Pushers. I noticed they have a lot of the super popular Outfoxed Pearl Bracelet in stock, in various colors! Just for Stumbles & Stitches readers, Julie is offering a 10% discount on your fabric purchase with the code STUMBLE10, so go check out her great selection! What catches your eye in these wonderful shops? We'd love to know. Happy Monday! I am currently SWIMMING in works-in-progress. 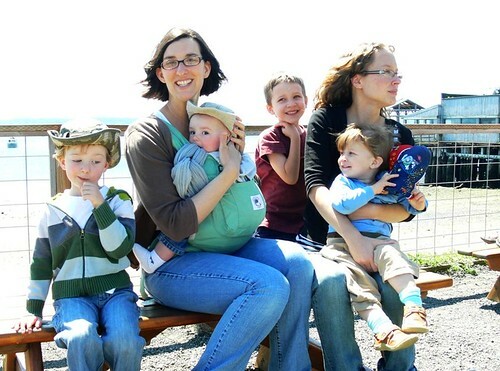 Too many ideas, not enough time... and too many kids, ha! I thought I would share a few pics of what has been occupying my dining room table this weekend. Remember these and these? 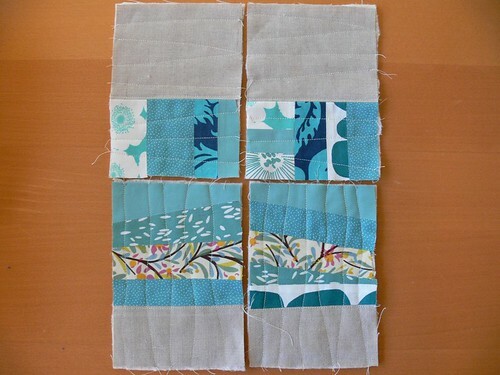 I got the urge to play with scraps on Friday and began experimenting with the makings of a few pouches. Well, sometimes things don't exactly work out the way you envision them. 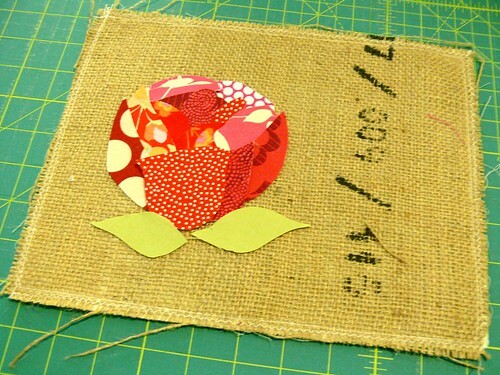 I've been wanting to experiment with designs for my burlap art and thought I would try out a rose for Valentine's Day. I love roses.